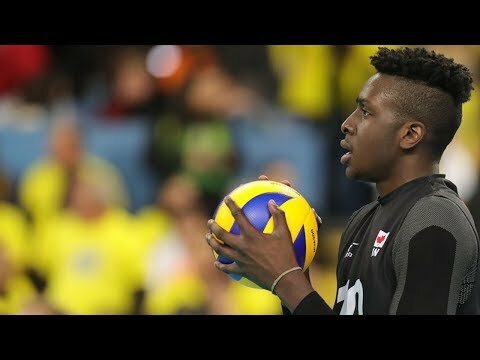 The new Volleyball Nations League, which is set to begin in May 2018, will include Pakmen Volleyball Club legend Sharone Vernon-Evans and Canada’s Mens team. Team Canada will play matches in Ottawa on June 8, 9 and 10 against Germany, Australia, and the United States at TD Place Arena at Lansdowne Park in Ottawa. The league will feature both core and challenger teams. In both the men’s and women’s leagues, 12 core teams and four challenger teams will battle to become Volleyball Nations League champion by playing in a round robin format. With a total of 130 matches throughout the league season, every team will play a minimum of 15 matches and each core nation will host at least one pool, bringing the action closer to fans around the world. On the men’s side, the core teams are: Argentina, Brazil, China, France, Germany, Iran, Italy, Japan, Poland, Russia, Serbia and the USA. The four challenger teams are: Australia, Bulgaria, Canada and South Korea. The Canadian women’s team is not part of the Volleyball Nations League in 2018, but will compete in the affiliated Challenger League. A joint project between the FIVB, IMG and 21 national federations – the Volleyball Nations League will present volleyball in a way that has never been experienced before, building on the innovative sports presentation on display at the Rio 2016 Olympic Games. For more information about this new exciting league, please visit the Volleyball Canada website, volleyball.ca.